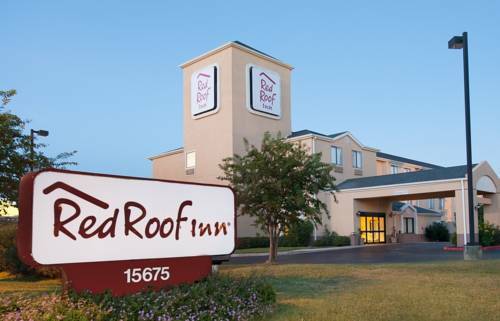 This non-smoking inn is located two miles from George Bush Intercontinental Airport (IAH), Red Roof Houston-IAH Airport welcomes you! We are close to Deer Brook Mall, Greenspoint Mall, and Splashtown. Visiting on business? Red Roof Houston IAH Airport is near Halliburton, GE, Humble Civic Center, and the Greenspoint Business District. If you enjoy sports, were convenient to Reliant Park, Toyota Center, Minute Maid Park, and the Sam Houston Race Park. Nature lover? Check out Galveston Beach, Cityview Park, or Thomas R. Wussow Park. If you enjoy museums, check our Mercer Arboretum and Botanic Gardens, the Museum of Natural Science, or the NASA/Space Center. Red Roof Houston IAH Airport is about hour away from downtown Houston, the University of Houston, Amtrak, and the bus station. We have a number of great restaurants nearby for your convenience.